Contacts of our tourists who kindly provided the below testimonials can be emailed to you on request in case you wish to get in touch with our clients directly. It was great! Really. We were very lucky with the weather and even more lucky with Ludmila and the rest of the team. We had 3 very interesting days and were able to visit most of the places. We still have to see the Chinese Palace in the summer! We have to say that Ludmila’s work was very professional and we will for sure recommend your services to our friends. Our guide Ludmila led us on a tour of St Petersburg, Catherine’s Palace and Peterhof. It was for both of us the highlight of our 12-day cruise of the Baltic. Thank you again for your excellent guide-work and your patience with us as we tried to comprehend the history of the family of Peter the Great. 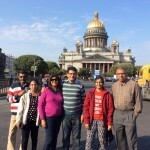 Our visit was part of a Baltic cruise on the ship Marco Polo taking in a shore excursion in St Petersburg and we made arrangements with the Guide for You company before leaving. 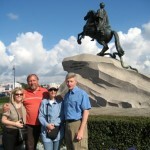 We spent 2 glorious days exploring the wonders of St Petersburg with our guide Svetlana and a personal driver. Not only did we visit the key sightseeing locations but she managed to provide us with an insight into everyday life in Russia. 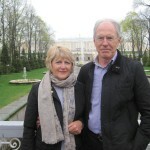 Svetlana was extremely knowledgeable about all the palaces, the cathedrals and of course the Hermitage on which she is an expert, steering us through the maze of corridors and exhibitions so that we felt we saw more than we would ever have managed on our own. Our visit was immaculately planned and time managed. We felt we had sufficient time at each location, never feeling rushed but at the same time packed so much into each day. 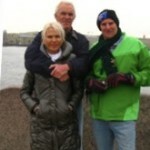 We highly recommend using Guide for You company and especially Svetlana who made our visit very special. We all thoroughly enjoyed Svetlana's company. We felt she was a good judge of personality and met our needs in terms of pace, extent of commentary and our interests. Very efficient in terms of time management, managing to place us at the front of a queue without being overly assertive. She made the history enjoyable. We enjoyed very much our guide Svetlana. She was enjoyable to be with and made us comfortable at all times. Friendly and sweet. She was knowledgeable and easy to communicate with. Very helpful and a good host. We appreciate her very much. A good variety of excursions and adequate time to view sights. Very good driver, comfortable car. We felt safe. The 4 of us spent 3 days with Svetlana at the end of August - she provided such a wonderful time in St. Petersburg for us. I wanted to thank Svetlana again for the time and effort she put into sharing her wonderful city with us. 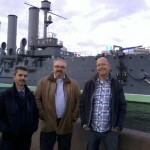 It was truly the highlight of our Baltic's cruise. My wife just finished putting together the e-book of our trip to remember those great experiences. We had such a wonderful time! Our time was so great that we'd like to visit again - there is still so much to see and do. We'd be delighted to have Svetlana working with us again! 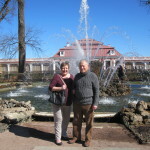 My husband and I travelled to St.Petersbourg last year and was met off our ship the PRINCESS MARIA of ST.PETER LINE by Svetlana who was to be our engish speaking guide for our day there. She was a very pleasant person who spoke excellent english and explained all about the city as we travelled to the main tourist sites. At the sites she accompanied us and again explained in a detailed way about the architecture, history and artworks on view. She explained where to eat lunch and never left our side. The next day she took us in a private car out of the city to the summer palace. We were collected at our hotel and returned there and once again she came around all the grounds with us explaining all, she also told us many interesting facts about Russian life, her life and customs of Russia, in fact I can highly recommend her company -GUIDE FOR YOU- and would use it again for shore excursions when I visit St.Petersbourg again. 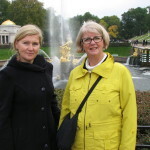 A big thank you to Svetlana for showing us the most splendid and interesting parts of her wonderful city during our visit. Seeing St Petersburg was something we had wanted to do for some years and we loved the City, the hospitality and the people we met were most kind. We enjoyed the days we spent with Svetlana. They were interesting, entertaining and informative, not to mention the hours saved by avoiding the queues completely! Svetlana made our visit a great few days. Anyone who uses her services as a guide is in great hands. Thank you again Svetlana, it was lovely to meet you!